The adolescents at Aspiro are struggling with various difficulties that may have led them to school failure, difficulty with interpersonal relationships, low self-esteem, anxiety, depression and more. 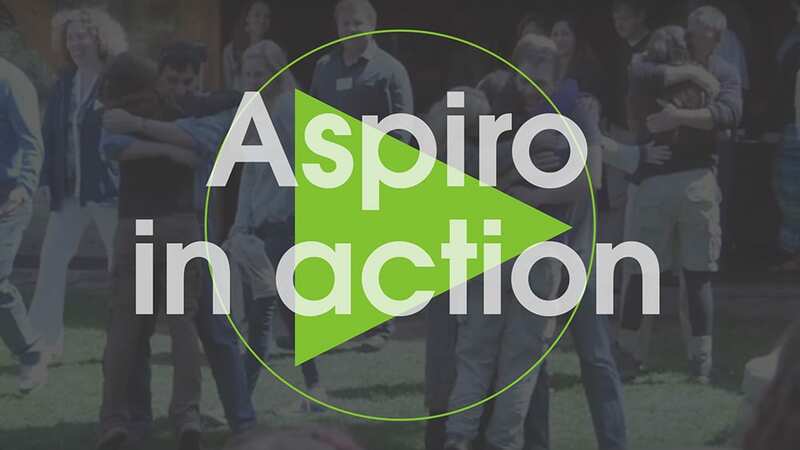 At Aspiro, your adolescent will learn how to problem solve, manage and assess risk, face and conquer fears, connect with others on an emotional level, as well as drive his or her own motivation while gaining wilderness leadership skills and building self-efficacy. The young adults at Aspiro often are struggling with anxiety or depression, difficulty obtaining or maintaining a job or attending college, and some are still finishing high school. They often have experienced relationship failures and are not sure of what direction to go in adulthood. Your young adult will learn self-advocacy and how to develop independence and success through creating goals and gaining the confidence to reach them. In the young adult program, the students often have found they are off-track, and are now ready to develop purpose and intention for planning their adult life. This list is not meant to be comprehensive, only an example of some of the concerns our highly skilled team has resources to treat in a clinically sophisticated manner. While bootcamps focus on behavioral modification and extrinsic (external force) motivations, our Wilderness Adventure Therapy Program intrinsic (internal decision) motivation through the use of positive psychology and relationship based therapy techniques. Without the use of coercion, your child will learn how to problem solve, manage and assess risk, and drive their own motivation as opposed to being forced into actions. We invite, support and encourage participation from each of our students. Aspiro is a clinically sophisticated research based program licensed by the State of Utah. Students participate in individual and group sessions facilitated by a Master’s or Ph.D. level therapist who creates a comprehensive assessment of each student and their specific needs. They will gather information from parents, professionals, psychological testing, and therapeutic field observations to create a detailed recommendation for the transition plan and long-term success of your child. Aspiro is committed to incorporating a family systems approach throughout treatment. Parents and sometimes other family members are expected to participate in weekly phone communication with the primary therapist, various reading and writing assignments, and attendance at our on-site parent seminar midway through the program. At Aspiro we not only work with the individual child, we work with the entire family.